One common defense in many jurisdictions is known as the assumption of risk. This is essentially an argument that plaintiff knew of the risks of whatever activity he or she was engaging in and took the risk of the type of harm that occurred.According to a recent news article from the New York Daily News, a famous alleged mob boss is suing after he slipped and fell on a wet floor while playing a game of ping pong in prison. The plaintiff alleged is his complaint that he slipped on the water while he was playing the game. However, court papers filed by the defendants alleged the ball had left the table and rolled away. Plaintiff was trying to track down the ball when he walked near the showers where it had ended up and slipped and fell due to water that was in the shower area. Defense further alleged as an affirmative defense that he assumed the risk of slipping when he went into the shower area where everyone knows the floors are wet. When he fell on the concrete floor in the shower area, he broke his knee and needed to have surgery and undergo a period of rehabilitative services. The specific allegations are that staff at the detention center were negligent in a maintaining an unsafe environment by allowing accumulated water to remain on the floor thus resulting in an unreasonably dangerous condition. Failure to maintain the premises in a safe condition is the basis for filing a premises liability action in Boston. If a case involves a government agency or “political subdivision of the government” there will also be the need to deal with the issue of sovereign immunity. Unlike with private or corporate defendants, government agencies, such as the Massachusetts Department of Corrections, are afforded various protections from lawsuits and the amount of damages may be affected. This doctrine exists because it was determined if government agencies were constantly in fear of lawsuits, they would not be able to perform their functions effectively. While this is certainly a concern, the immunity is not limitless and does not mean that a plaintiff cannot sue the government or a governmental agency. This defense of assumption of risk was abolished by the legislature in all circumstances in Massachusetts pursuant to Massachusetts General Laws (M.G.L.) Chapter 231, Section 85. Under this section, the concept of comparative negligence and the limited effect of contributory negligence is explained. Under the common law handed down from the British legal system, if the plaintiff was in any way negligent, that would be a complete bar to recovery. 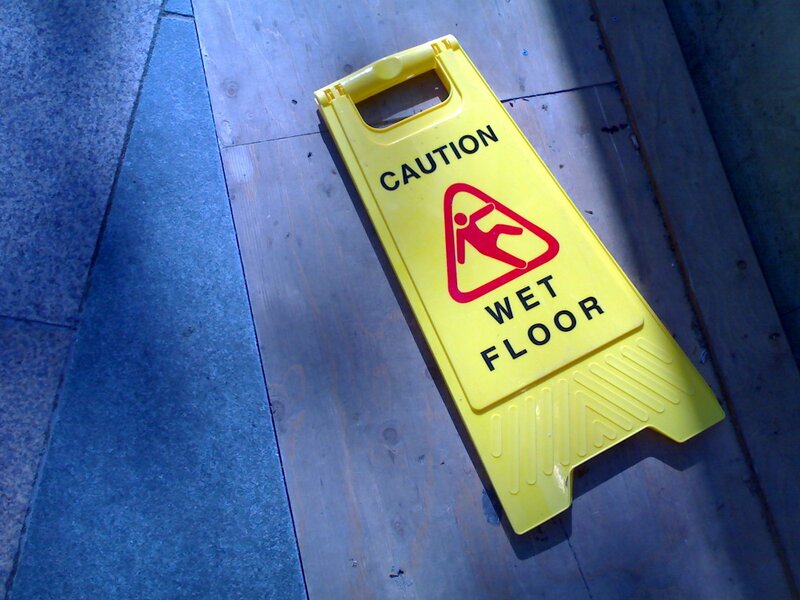 For example, if the plaintiff in a case, knew our should have that a floor would be wet and still walked on that floor and slipped and fell resulting in a personal injury, the plaintiff would have contributed to the injury and this would be a complete bar to any recovery. This was known as a pure contributory negligence system. Even if the plaintiff was one percent negligent and the defendant was 99 percent negligent, that would be a total bar to recovery as our Boston personal injury lawyers can explain. Under the current system in Massachusetts personal injury cases filed under a theory of negligence, there is a comparative negligence system which means that the plaintiff can still recover even in plaintiff was negligent as well, so long as plaintiff was not more than 50 percent responsible the accident which resulted in personal injury. If the plaintiff was more negligent than the defendant, meaning more than 50 percent negligent, this will serve as complete bar to recovery. This is known as a comparative negligence system. In adopting a comparative negligence system, the plaintiff’s negligence is taken into account when deciding on liability, so there is no longer a need for an affirmative defense of assumption of risk. If the plaintiff assumed any risk, then this will handled when the jury or judge in a bench trial determines the relative fault of the plaintiff and defendant. Even though the plaintiff will still be able to recover, any damages (money) awarded to the plaintiff will be reduced by the percentage of negligence assigned to the plaintiff. For example, if it is determined plaintiff was 10 percent negligent in connection with the injury suffered, and the jury awarded $100,000, the final award would be reduced by 10 percent or $10,000. The statute provides that the burden of proving the negligence of the plaintiff will be on the defendant, and there will be a rebuttable presumption that plaintiff acted with due care. This is known as a rebuttable presumption because even though it is presumed, it can be overcome by establishing sufficient evidence to the contrary. This is a fairly complex issues so and no cases are ever the same as the facts of situation are different so the best thing a plaintiff can do is to speak with an attorney about the actual case during a free initial consultation. One thing a potential client should not be worried about when talking to an attorney about a slip and fall case in Boston is the cost as these cases are typically taken on a contingency fee basis meaning there will be no legal fees owed unless and until the plaintiff is successful in obtaining money through a settlement or a verdict awarded by a judge or jury should the case go to trial.